Improve your stopping power with a set of genuine OEM Mopar Performance front and rear brake pads and rotors. Mopar® front and rear pads and rotors improve performance in cold and wet weather. 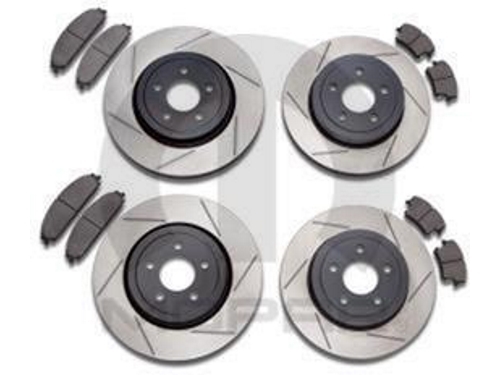 Features include slotted rotors to continuously prevent glazing and improve initial bite, OEM-sized rotors allow retention of existing factory calipers, black e-coated rotor hats meet FCA US LLC standards for durability and corrosion resistance, and high MOT (Max Operating Temperature) friction material to reduce fade.